Many responsive sites take too long to load on tablets and smartphones due to a lot of different reasons, mainly the large number of resources to load and the network speed when browsing from mobile is not always optimal. So, how can you get a fast loading website? Amp is a Google open-source project allowing sites to load faster. 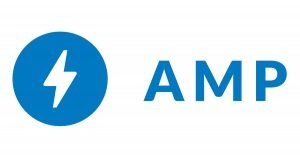 AMP’s goal is to provide a sensational user experience across many platforms through the optimisation of mobile pages to guarantee a fast loading website. Optimising the loading time for content, AMP works on images, videos, or animations when it is too heavy to provide good performance on the mobile browsers or social platforms. AMP-optimized pages require less data to load as well. Why is it so important to have a fast loading website? Every time a web page takes too long to load you lose a reader and with him the opportunity to earn revenue via advertising or subscriptions. Apparently, 53% of users leave a website if it takes more than 3 seconds to load the pages. The median load time for AMP is 0.7 seconds, the time it takes for your eye to blink twice. By contrast, the median load time for non-AMPs is 22.0 seconds, the time it takes for you to leave the site and never come back. The equation is “fast content → fast readers → more consumption”, and that matters for every player in this market (publishers, technologic partners, social platforms). Who wouldn’t want web pages rich of content that loads instantaneously thanks to a super fast loading website? What are the results of using AMP Google Technology? Measurements made on AMP-optimized pages showed significant results: on average, they loaded four times faster and required ten times less data than traditional pages, a nice result for your users. But it does not end here: loading speed and data consumption are not the only benefits. Google is not ranking better AMPs only because they are AMPs, but because the speed factor is key for search engines. Basically, Google recognises that AMP websites are more valuable for the users. The better SEO ranking is very important for sites – especially those based primarily on news and text content. It influences the content distribution too, as AMPs appear prominently on the mobile search carousel resulting in increased traffic, CTR, and general content awareness. AMPs is a technology that anybody developing websites and producing content should be aware of. Loading speed and usability of your content shouldn’t be (too often, unfortunately) neglected aspects. You should aim to produce content that loads quickly and can be consumed as quickly: if you don’t, having the best content on the market will not matter. Nobody will see it if it takes more than five seconds to be accessed. Those are the reasons why Rawfish employs many resources and energies to develop this technology. 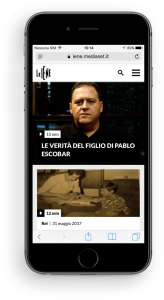 Check out the super fast loading website we’ve developed for the Italian TV program “Le Iene” using AMP Technology. Are you ready to boost the usability of your web site? If you are curious to know what AMP means, check here!